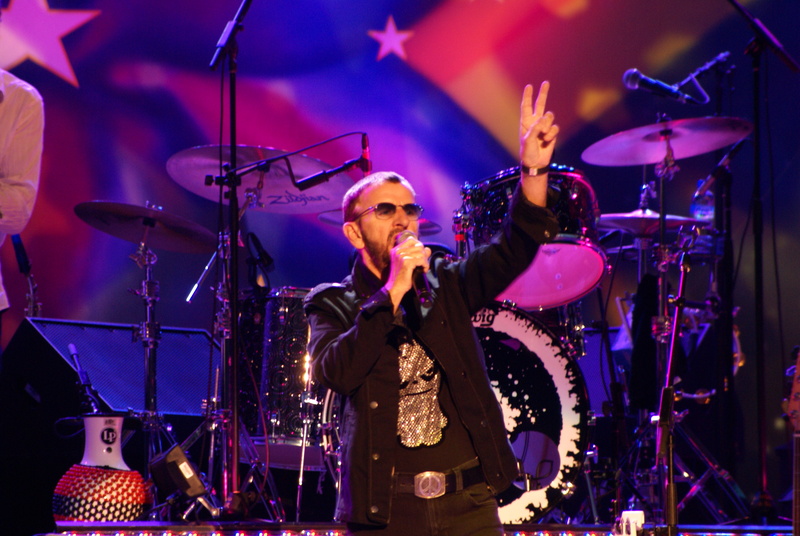 Happy 75th Birthday, Ringo Starr!!! 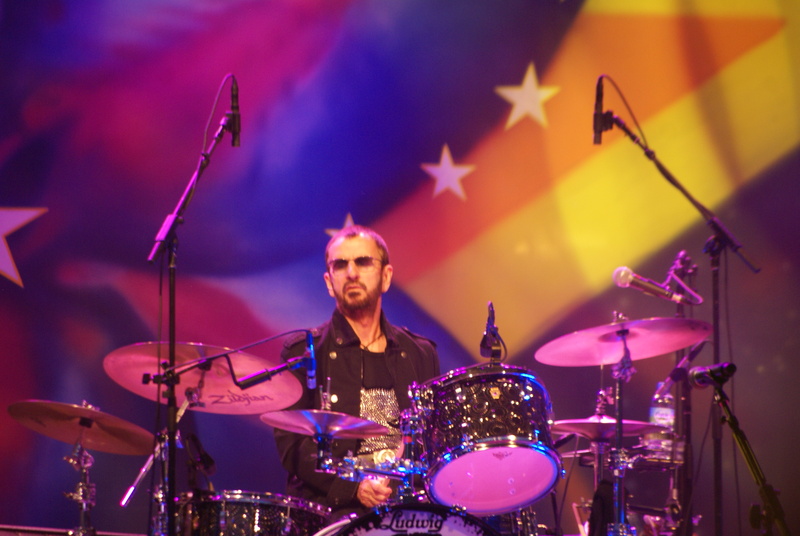 Beatles drummer Richard Starkey, better known as Ringo Starr, turns 75 years young today. His career in music started over 50 years ago when he replaced Pete Best as the drummer of the band that was about to become known world wide as “The Fab Four”. Starr was the lead singer on several Beatles’ songs including “With A Little Help From My Friends“, “Yellow Submarine” and “Octopus’s Garden“. After the Beatles reign as the greatest band on earth ended (yes I wrote that!!! ), Starr had several solo hits including “It Don’t Come Easy“, “Photograph” (co-written with George Harrison) and “You’re Sixteen“. The latter two hit number one on the charts in November 1973 & January 1974, respectively. The younger generation may also know him as “Mr. Conductor” on the “Shining Time Station” PBS series & as the narrator from the first two seasons of “Thomas and Friends”. Earlier this year Starr was inducted into the Rock & Roll Hall of Fame as a solo performer, having already been inducted as a member of the Beatles in 1988. During the last 25 years he has been touring with his “All Starr Band” featuring a revolving group of musicians. I was lucky enough to see him live twice at the theatre on Jones Beach in Wantagh, NY. The first time was during the early 1990’s and the second was in 2012. The pictures featured in this post are from the second show where I was 10 feet from one of the Beatles!!! Thankfully, Ringo is still making music which you can listen to (while wishing him a happy birthday) here. How do we thank a Beatle for EVERYTHING he has given us? Music was never the same from the time we met him and the other lads from Liverpool via “The Ed Sullivan Show” on February 9, 1964. A mere “thank you” seems inadequate. I, for one, am eternally grateful!! !